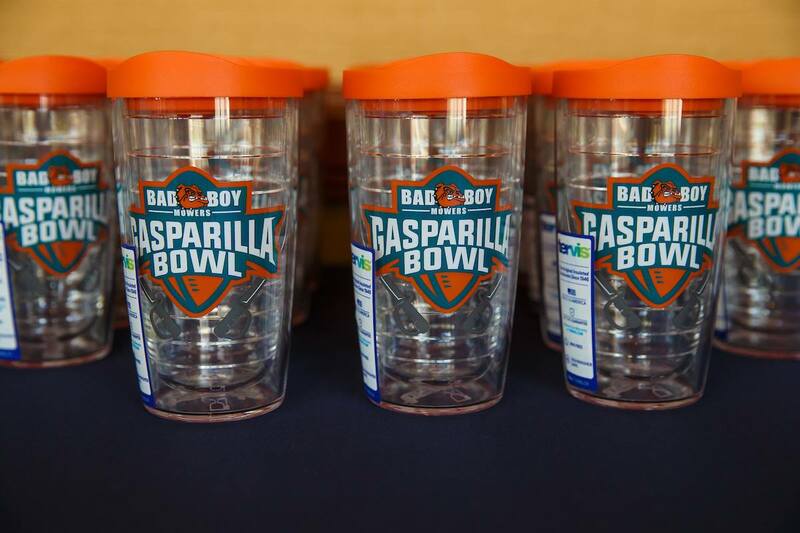 In 2009, CEA began marketing efforts for the St. Petersburg Bowl and has been teaming up ever since to ignite the newly formed Gasparilla Bowl. 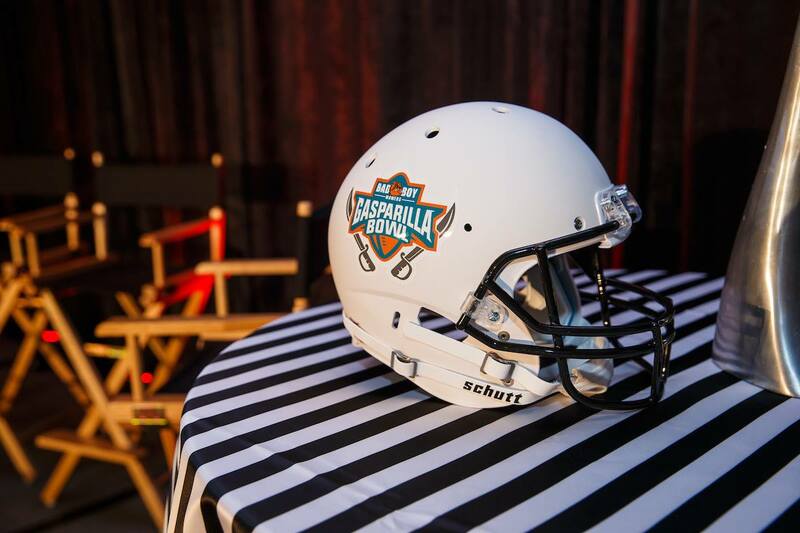 In 2017, CEA was tasked by ESPN Events to create an entirely new brand and new game; thus The Bad Boy Mowers Gasparilla Bowl was born. 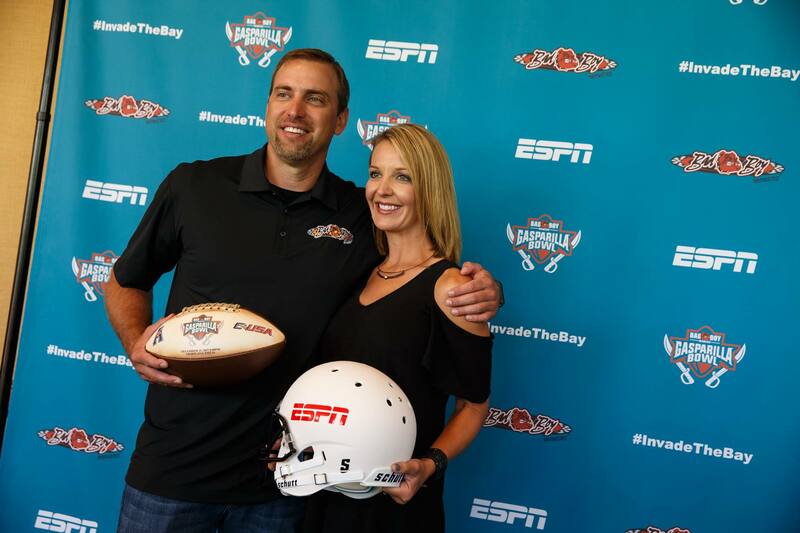 Working alongside ESPN Events into 2018, we moved the bowl game from its home at Tropicana Field in St. Petersburg across the bay to Raymond James Stadium, home of the Tampa Bay Buccaneers. Our challenge then became promoting this new event to gain support from the community and sponsors alike. 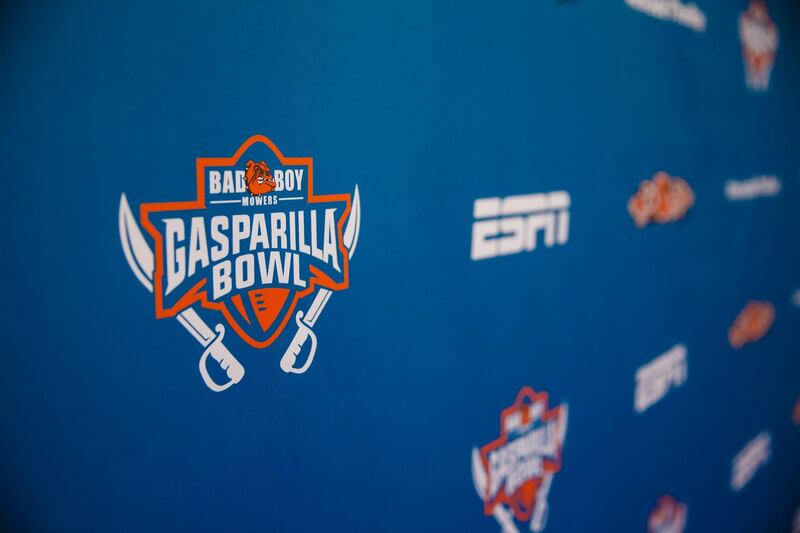 With a revamped look and new creative concept, The Bad Boy Mowers Gasparilla Bowl saw massive growth on its social platforms and sold more tickets than ever before. Must gain support from the Tampa Bay community and local sponsors in a short amount of time (May Announcement - December). Must promote a newly named and relocated postseason College Football Bowl game. Must create and provide a world-class game week and gameday experience for players, fans, and the Tampa Bay community. Promote a world-class event experience for the participating schools, players, and the Tampa Bay community. Showcase community partnerships including onbikes and Joy of Giving. Accelerate brand growth through social media promotion and video production. Match the intensity, fervor, and excitement of Tampa Bay’s Gasparilla culture. After leading the renaming process of the long-standing St. Petersburg Bowl in 2017, a full rebrand was in order and #InvadeTheBay was born. 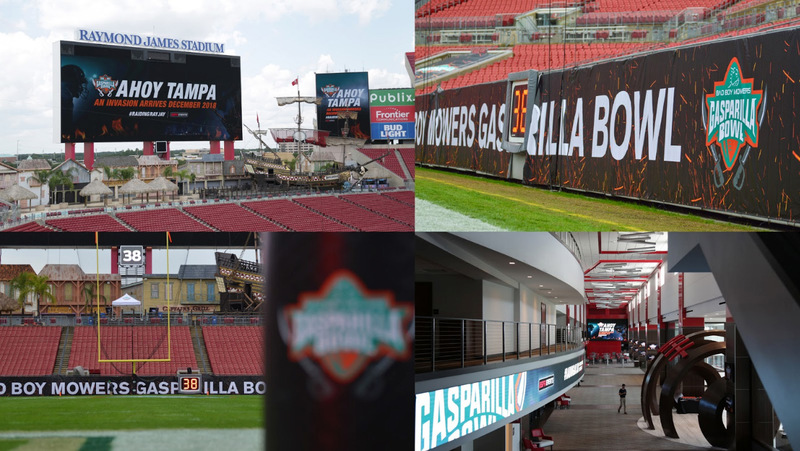 To take the Gasparilla Bowl to the next level and earn buy-in from Tampa partners, we worked alongside ESPN Events to move the game across the bridge to Tampa’s premier sports complex: Raymond James Stadium. #RaidingRayJay was officially off the ground. #RaidingRayJay was designed to bring fans on a journey from where the bowl was to where it is now: positioned as one of College Football’s most recognizable postseason experiences. 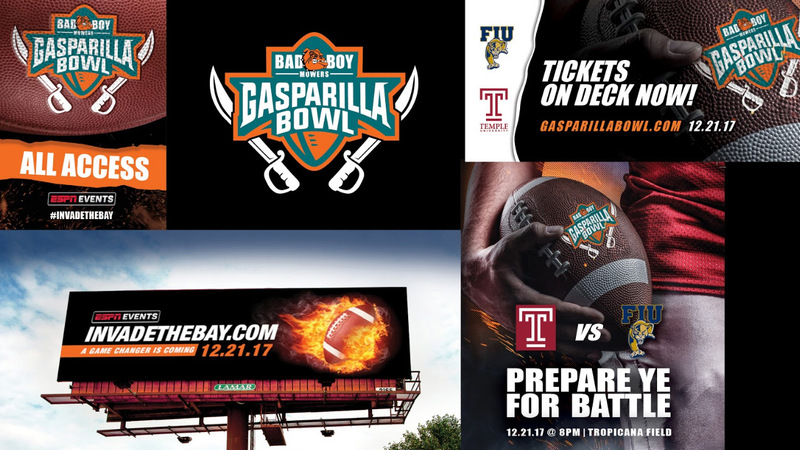 We revamped a vibrant Gasparilla Bowl brand through digital and print materials, in-game video screen animations, events such as a Tour of Tampa from the official Ye Mystic Krewe of Gasparilla pirates, and a redesigned website to promote the move to Tampa. 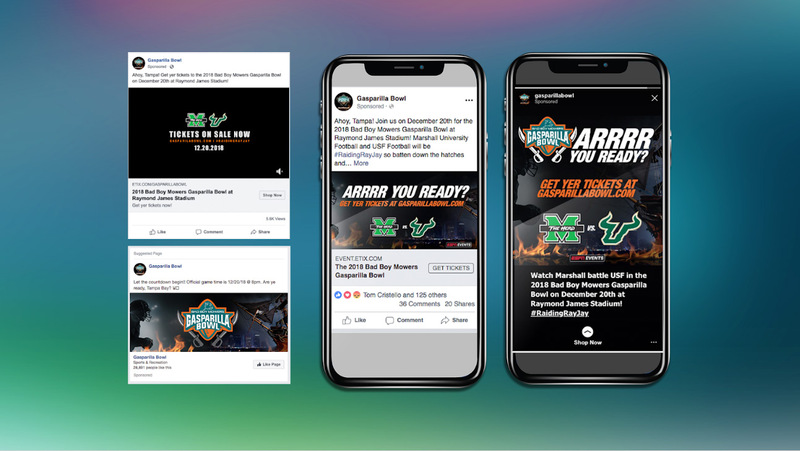 Building from the Gasparilla Bowl page’s 25,031 page likes as of May 1, 2018, we grew the page 16% over eight months to 29,063 total page likes (this surpassed our goal of 27,000 page likes). While the fan base increased, user engagement spiked as well. We recorded over 300,000 impressions and 25,000 engagements from fans in the same eight-month period. We also used a strategic mix of Facebook ads to keep the page—and fan interest—constantly growing. The Gasparilla Bowl Instagram page garnered over 4,700 likes and grow from 832 to 1,128 followers from May to December 2018. The homegrown hashtag #RaidingRayJay was used over 660 times and both #GasparillaBowl and #GasparillaBowl2018 was mentioned over 1,000 times.